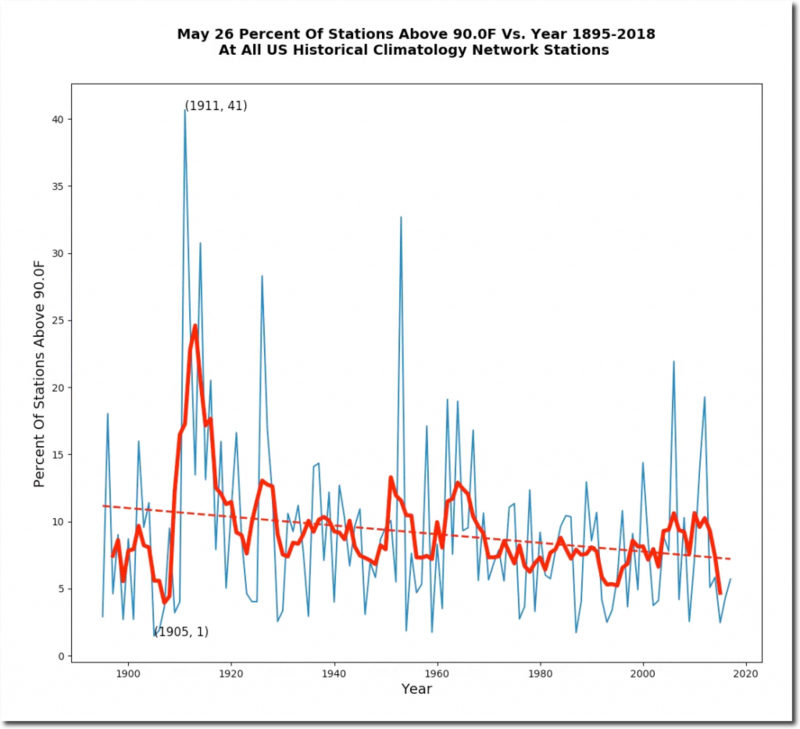 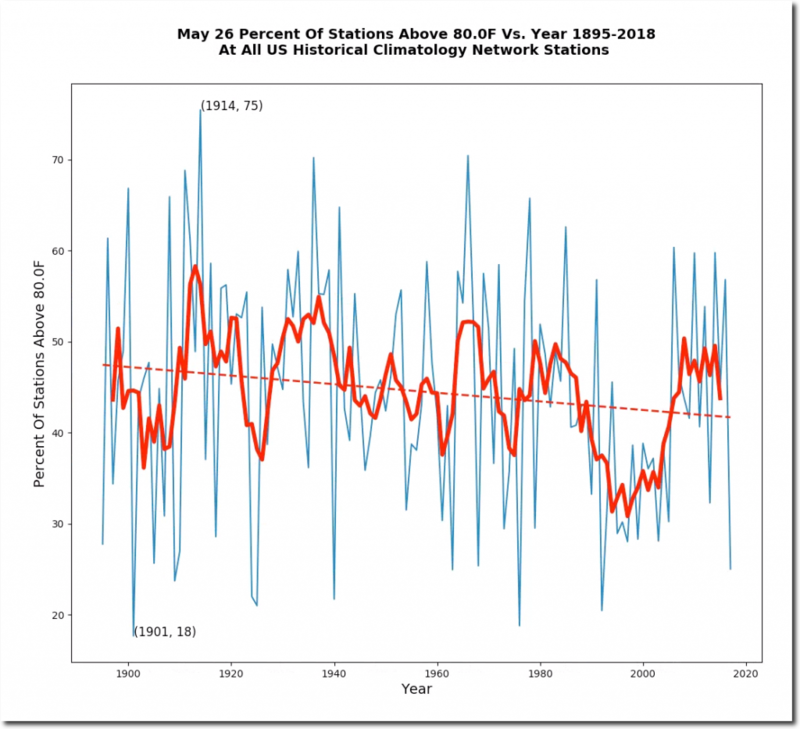 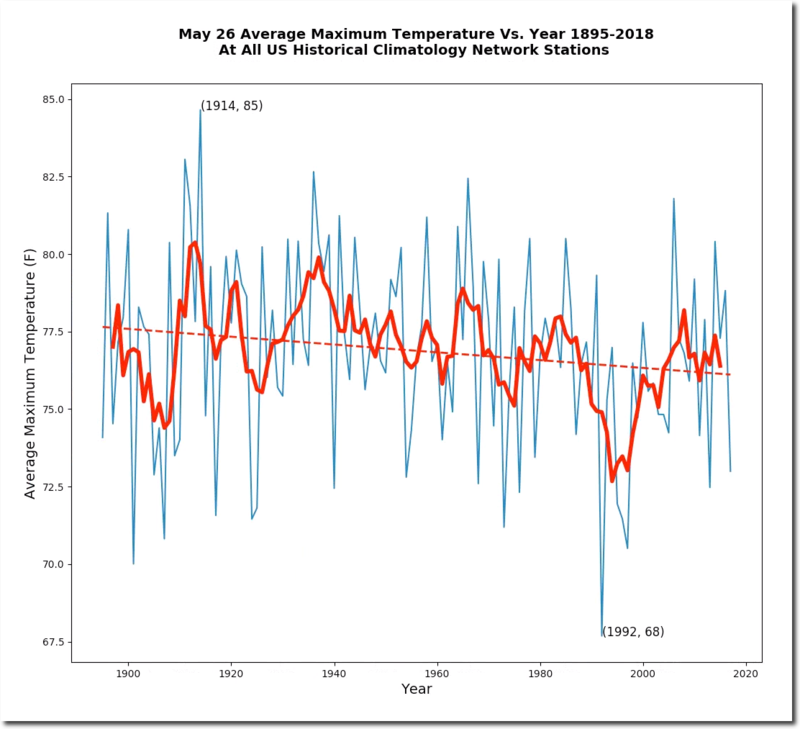 May 26 temperatures in the US have declined sharply since about 1910. 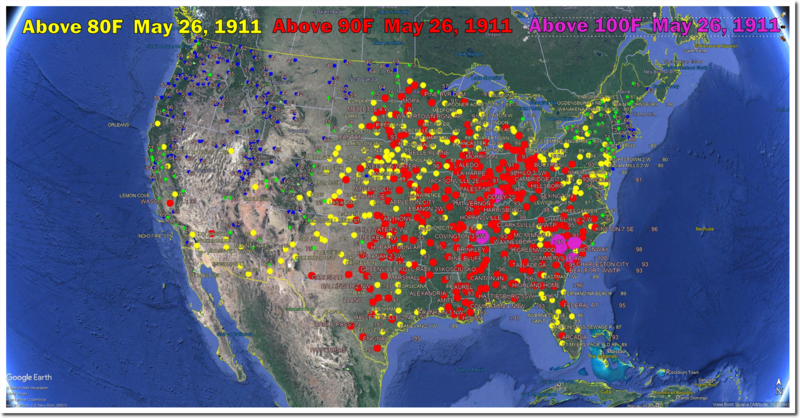 On this date in 1911, almost the entire eastern US was over 90 degrees. Similar story in 1914, with 90 degree weather up into Vermont. 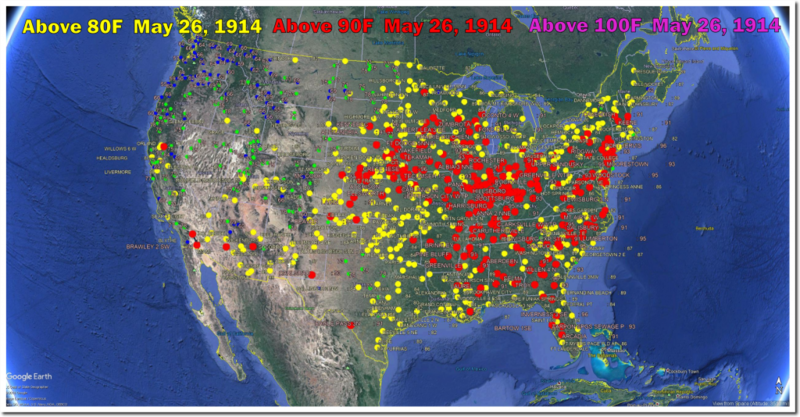 ← So Why Tamper With The Data?